We’re engaging with local community reps to make sure all the latest updates on the work are communicated. 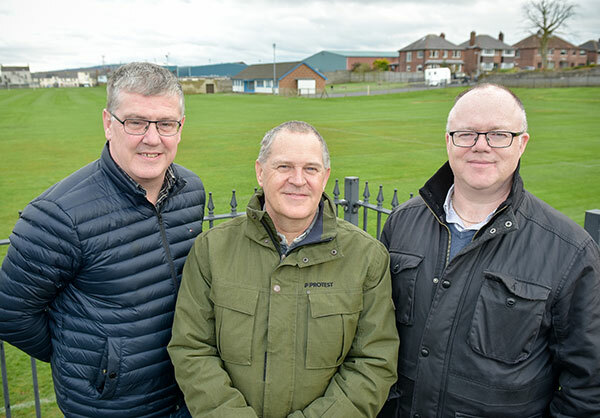 Left to right: Andrew McNickle, Larne Youth FC, Norman Surples of Harbour Community Group, Derek McKinley of Larne Cricket Club. A timeframe is now in place for the new Sandy Bay Pavilion. The tendering process is underway and we are awaiting submissions from a number of contractors. Once received and marked, we can appoint the successful company for work to commence on site by June.